Paul Thomas Anderson’s Phantom Thread is the latest film in a grand tradition of cinema that blurs the line between being an artist and being a romantic partner. 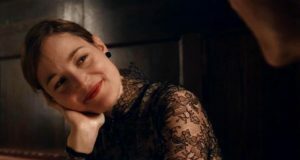 It examines the elements of passion, control, dedication, and commitment that are common to both love and the creative process, and in so doing it joins a fine list of films ranging from the charming likes of Shakespeare In Love, to the visionary romantic dysfunction of 8 ½, to the heart-palpitating phantasmagoria of this year’s mother!. 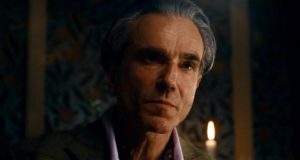 Also like mother!, Phantom Thread is a film about an artist weighing the all-consuming needs of his artistry against the needs of another human being, and if I say that Daniel Day Lewis’ Reynolds Woodcock is at least a marginally less selfish partner than Javier Bardem’s messianic poet in mother!, then that may be the year’s most damning faint praise. The key difference I find between those two films is that I do not believe mother! Is really about love in any substantial way. It is in the nature of that film for the artist’s ego and obsession with creating to utterly drown out the slightest hint of romance. 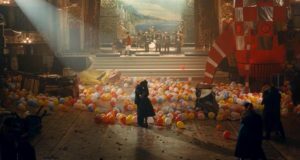 By contrast, I think that Phantom Thread is absolutely about love, even more than it is about the struggles of an artist. 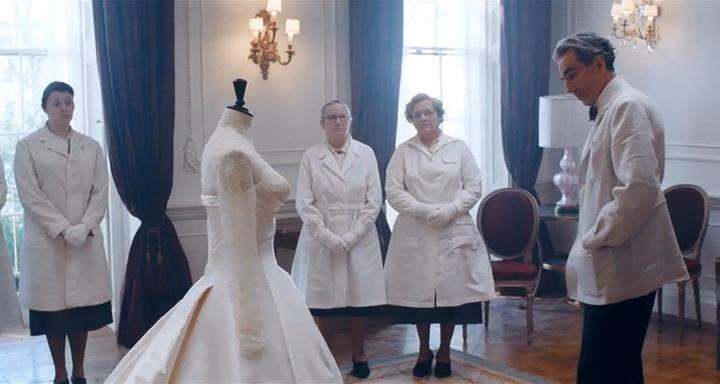 Phantom Thread is a keen look at the rhythms and pitfalls of a new romance and, at the risk of overselling this too much, it is also subtly very funny. In telling the love story between a celebrated dressmaker and the gently headstrong waitress who comes waltzing in to his neatly arranged life, Paul Thomas Anderson finds a rich, crackling energy beneath a pristine world of elegant decorum and self-serious craft. 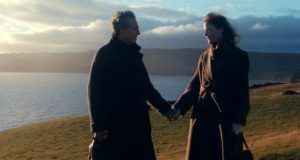 Love is an effervescent, discombobulating whirlwind in Phantom Thread and, while it does have a lot of insight into the rigors and superstitions of an artist’s work, the artistic process is also largely here to be the apple cart that romance jostles. 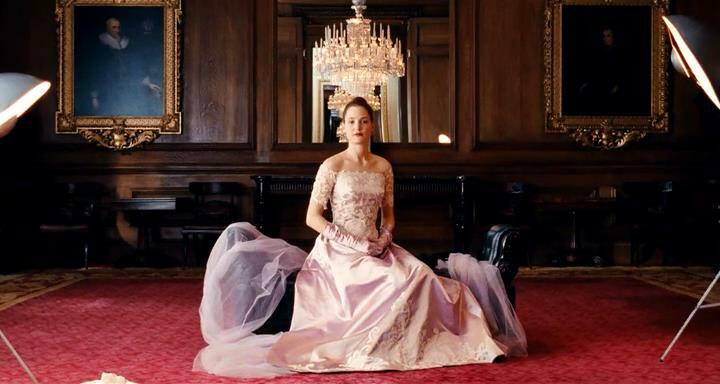 Phantom Thread is a deliriously lavish, meticulously composed, sumptuously costumed British period piece and it uses its gorgeously ornate surfaces as a kind of contrast to the brash, unpretentious, blithely unfussy blush of swooning romance. It is a film whose lovely, old-fashioned sheen exists both to be admired for its surface beauty and to be ever so sweetly punctured. The period of Phantom Thread is 1950s London, where a world-renowned dressmaker named Reynolds Woodcock (Daniel Day Lewis, giving a dependably tremendous dramatic performance punctuated with sly comedic notes) is the toast of womens fashion. He is a man of soft-spoken haughtiness; intense, unflaggingly confident in his skills as an artist, yet also given to temperamental fits of frustration and doubt. He is a rich portrait of the most exacting kind of artist, while also feeling ever so slightly like a keen satire of a certain breed of talent. Reynolds is a believable, multi-faceted depiction of the genius diva archetype, with just a sprinkle of self-aware skewering. The House of Woodcock, the multi-story London studio where he lives and works, is a pristine sanctum to his rigid, well-honed routine. 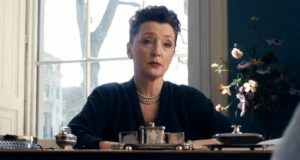 The guardian of that sacred routine is his sister Cyril (the great Lesley Manville, softly terse, quietly acerbic, and very funny), a no-nonsense woman who oversees the traffic of deadlines, appointments, and people that streams in and out of Reynolds’ busy, posh life. Part of that job involves ushering out Reynold’s latest brief romantic fling whenever he inevitably tires of her. Cyril’s job is to indulge her brother through his wild swings between inspiration, melancholy, and petty outrage. On the evening after a successful fashion show, Reynolds sits with Cyril in their favorite restaurant, cautiously pleased with the show, wistfully longing for his dear, late mother, and unhappily at a loss for what to do with the latest paramour to wear out her welcome. With the nonchalant professionalism of a woman who has dealt with this a hundred times before, Cyril tells Reynolds she will show the unfortunate lady the door and sends him off for a brief holiday in the English countryside to recharge his mental, emotional, and artistic faculties. 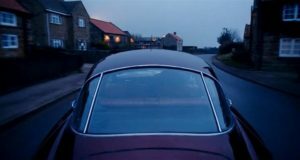 Reynolds speeds his sleek, gleaming Bristol 405 down Britain’s narrow country lanes and through the night, and ends up on an idyllic village on the Yorkshire seaside by morning. He stops at a hotel restaurant for an impressively large breakfast, which he orders from a shy, soft-spoken waitress with rosy cheeks, a slender physique and a Belgian accent. She blushes as he speaks to her. Before the check has been paid, the intensely self-possessed Reynolds has convinced her to have dinner with him at his country house. 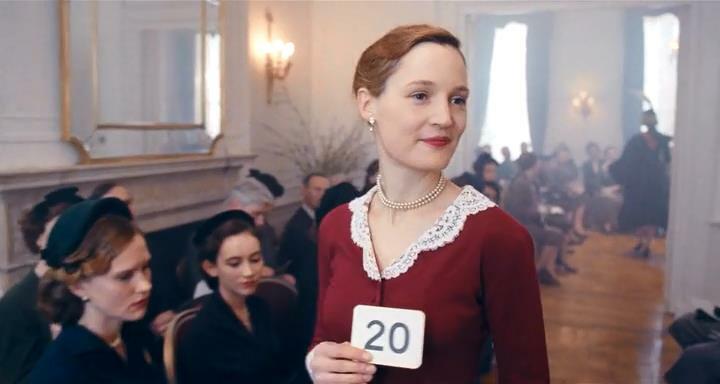 Her name is Alma (Vicky Krieps, a relatively unknown Belgian actress who does brilliant work and, by the film’s very design, steals scenes from Daniel Day Lewis in what is allegedly the swansong performance of his career). They have a fine meal of fish and wine. He tells her about his mother, his career, and his penchant for sewing secret messages and small totems into the linings of his work. He has a blunt, domineeringly forward way with her from the start. He has her remove her lipstick so he can better see her true face. After supper, he brings her downstairs to his workshop where he takes her measurements. Entering into a relationship with him will mean entering into a relationship with his work as well. Cyril arrives halfway through with her usual knowing half-smile, and the two siblings methodically size up the young woman who will soon become the latest in House Woodcock’s ever rotating queue of romantic partners. “You have no breasts,” he tells her with clinical detachment, before helpfully reassuring her, “You’re perfect. My job is to give you some.” We see Reynolds Woodcock is a talented, fascinating, and all but impossible man. His attention is always tuned first to his own voice, then to Cyril’s. And of course the majority of his energies go to the clients and to the dresses. His romantic partners get whatever little bit is left over. What is curious to see is that Alma notices his maddening drive and his brusque manner almost immediately. She chooses to fall for him in spite of it and because of it, but she also maintains a quiet resilience in the face of it. She weathers his commands and insults, but she will not allow herself to be made a silent partner in the relationship. “Stand normally,” he curtly says. She calmly says she is. With annoyance, he explains he meant to stand up straight. “Yes, well, you didn’t say that,” she shoots back with a soft frustration to match his own. Phantom Thread is a wondrous, clever melodrama and the joy comes from watching this relationship unfold, but there is a simplicity to this film once you have seen where it goes. It is really just the story of an artist walled in to a life of routine and how the woman he falls in love with enters into that sterile, meticulous space. It is about Alma entering into this prestigious, pristine house of rules and manners and walking through it with her own stubborn, clumsy grace. It goes to some dramatically unhinged places before all is said and done, but it is a love story through and through. All the gripping intrigue, intense conflict, and testy power upheavals are there to act as both an operatically pitched commentary on the challenges of any relationship and a blackly comic satire about what love does to the human ego. 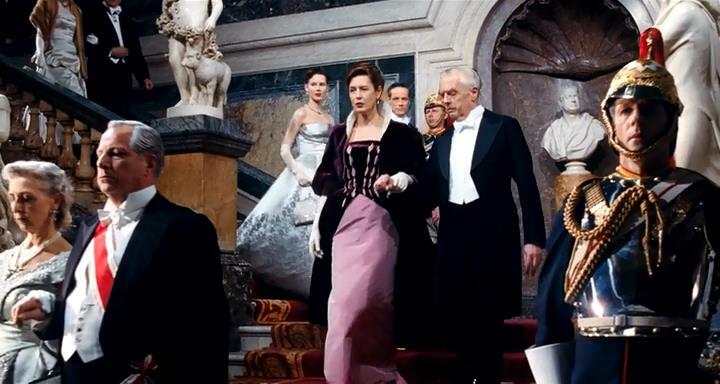 Phantom Thread is both the lush, emotionally fraught, old-fashioned melodrama it appears to be and a slyly winking send-up of the same. It sets up its fancy pretensions to luxuriate in them and to irreverently topple them. Like love itself, Paul Thomas Anderson’s film is swooning, intense, and just a little bit absurd. 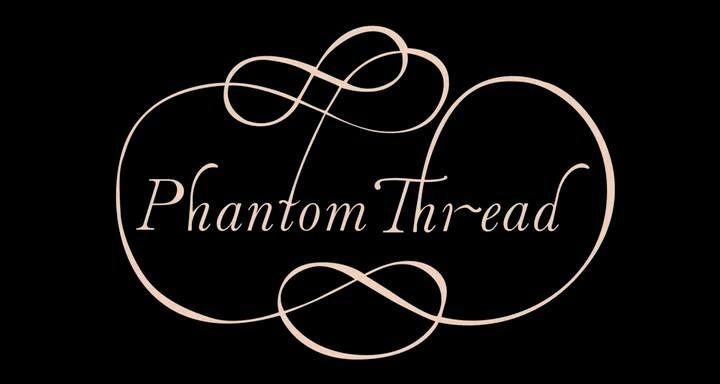 Phantom Thread is a decadent, luminous, crystalline ode to the many facets of love. One way it is wise is in presenting love as a disruption to the status quo of a person’s life. 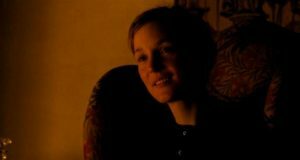 Paul Thomas Anderson is smart enough to let us become swept up in all that tradition and routine just as Alma is. He lets us be bewildered and enchanted by the dazzling sheen of it all. This is a painstakingly groomed world of delicate fabrics and brittle decorum. And beyond what all this says about how new love can upend the structures we spend years carefully erecting around ourselves, Reynolds Woodcock’s precise little Faberge egg of a world is just a beautiful little object to behold and marvel over. Anderson weaves this tasteful, dapper fashion world with glee, relishing the chance to make the most formally old fashioned film of his career, but in a way that feels as boldly intoxicating as one would expect from the director of There Will Be Blood and Boogie Nights. Instead of showy cinematic pyrotechnics, Anderson instead focuses on images so rich with color and texture that you feel full just from looking at them. This rich soufflé of a film does not rewrite any of the recipes. Instead, it just replaces the onions with the most expensive shallots money can buy and uses three times more butter than the cookbook calls for. Radiohead’s Johnny Greenwood (a frequent collaborate with Anderson) ties this glowing, perfumed package together with a swelling score of piano and strings that is both sophisticated and sometimes perversely grandiose. It is a world of linens and silks, shiny sports cars, gleaming white penthouses, diamond tiaras, and delicious cuisine. It is important we see the minutest detail of this fussed over universe. It is a world designed by a man with great wealth, impeccable taste, and an unyielding sense for how and where everything should be if he is to continue operating at the peak of his powers. 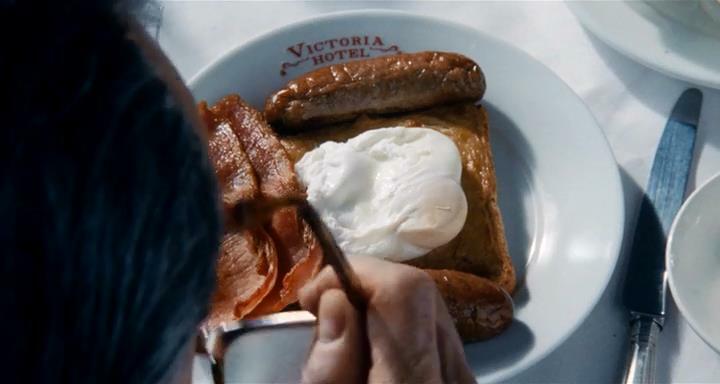 He loves big breakfasts eaten quietly, dislikes meals cooked in too much butter, and detests the word “chic”. Everything about this world, including Reynolds himself, is carefully put together with not a thread out of place. And it is not to say Alma’s arrival changes Reynolds’ ability to eat a scone with raspberry jam and Lapsang tea every morning, or throws the glitz of his lifestyle into any knde of jeopardy at all. But the very presence of a newcomer who doesn’t intuitively grasp the finest detail of his strictly programmed schedule is enough to throw Reynolds Woodcock into a tizzy. It is the very notion of having to change anything for another person that vexes him. 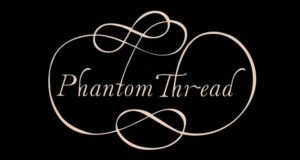 Phantom Thread is about a self-labeled bachelor who has seemingly never kept a romance for more than a few months suddenly finding a person he may really want to keep. And it is about him frantically looking for any justification to be done with it. “He’s like a spoiled, little baby,” Alma confides with bemusement to a friend. Love means allowing some small change into our lives. Somewhere deep in his soul, Reynolds must know it is not any one shakeup to his process that is bothering him. It is a thin-skinned irritation at the idea of having to make any change, any compromise whatsoever. To be clear though, while the opulent, manicured world of House of Woodcock may at first seem like a cold, domineering fortress, the film’s true immovable object, and I would also say its primary protagonist, turns out to be Alma. What makes Phantom Thread such an invigorating and darkly sweet film is that it is about the act of being bold and defiant with your love. Reynolds has spent decades with no change and no real dissenting voice outside of Cyril’s, who has learned to only press him cautiously in ways that will not disturb his fragile, artistic temperament. Alma is not explicitly out to upset her new love but she has the courage to be utterly herself in love. When she tells Reynolds she does not care for a fabric he is using, he and Cyril both balk. He spits that she has no taste, but she fearlessly replies that she likes her own taste. “Maybe some day you’ll change,” Reynolds mutters wearily. “Maybe not,” Alma replies with serenely unflappable confidence. After Reynolds throws a fit over Alma taking her breakfast too noisily, Cyril offers that she should probably just acquiesce to his preferences. Alma shakes her head, “I think he’s too fussy.” Cyril stares back with a look that conveys both amused surprise and a bewilderment at such a novel idea. 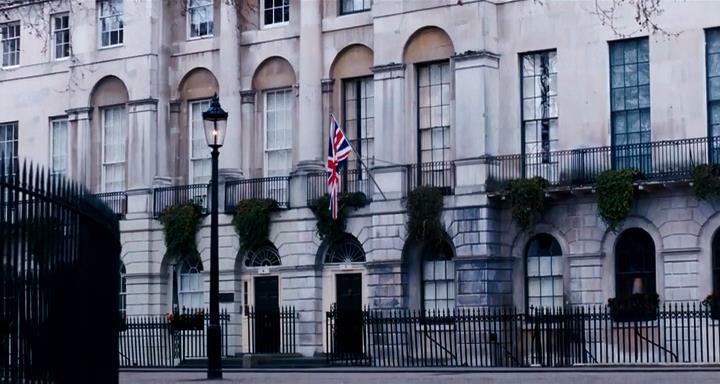 To live in Reynolds’ world is ostensibly to tread lightly and to conform to his whims, because he is the great, put upon artist; because it is England circa 1950 and he is a powerful, respected man. Alma loves him steadfastly, but she will not become a tongue-tied mannequin in Reynolds Woodcock’s shop window. “I respect your advice, Cyril,” she later tells her future in-law, “but I have to know him in my own way.” Phantom Thread is a complex, nuanced picture of the joys, trials, and indignities of bonding yourself to another person, but I think it is also of Alma’s refreshingly straightforward state of mind. Loving someone is a choice you make. And no one, even and especially the subject of your affections, can dictate how you do it. 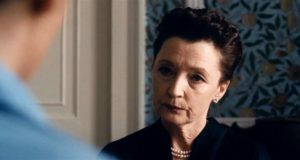 That is not to say that Phantom Thread thinks that one should refuse to ever budge in romance. The important distinction between Alma and the Reynolds Woodcock we first meet is that Reynolds recoils at the idea of having to do any bowing or bending. Alma is fiercely true to her self and to her need to love in a way that is free and open, but she is not unwilling to let love alter who she is. I have never believed in the axiom that you should never change for another person. Any life experience is an occasion to grow and change, and a deep love is one of the most soul-shaking life experiences one can ever have. Alma is not resistant to all of Reynolds’ rules and customs. She simply refuses to be a passive spectator in her own love story. She wants to change for Reynolds, insofar as that metamorphosis does not diminish her integrity. She dearly wants to become joined to this man, but the notion that this should mean completely submerging her sense of self into his strikes her as ridiculous and also rather counter-intuitive. What real good are we to the ones we love if we do not bring our own personhood to the table? Alma is active and engaged in a way that frequently perturbs Reynolds, but she is not simply trying to rattle his windows. She may chafe at the House of Woodcock’s occasionally stifling protocol, but she also very much loves the House, just as she loves the man. She speaks with joy about helping Reynolds with his work, blushes with earnest pride when she gets to help model his dresses, and reacts in protective rage when a boorish heiress makes a drunken spectacle while wearing one of his fashions. “It’s your work,” she seethes tearfully. I think Phantom Thread is about holding on to a sense of yourself fin love, while also eagerly picking up the burden of another person’s dreams and fears. 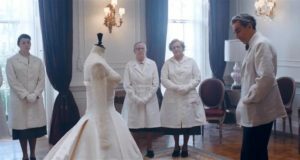 When a Belgian princess comes to the House of Woodcock to be fitted for her royal wedding dress, Alma walks politely but nonchalantly up to her and introduces herself. “I live here,” she says proudly. 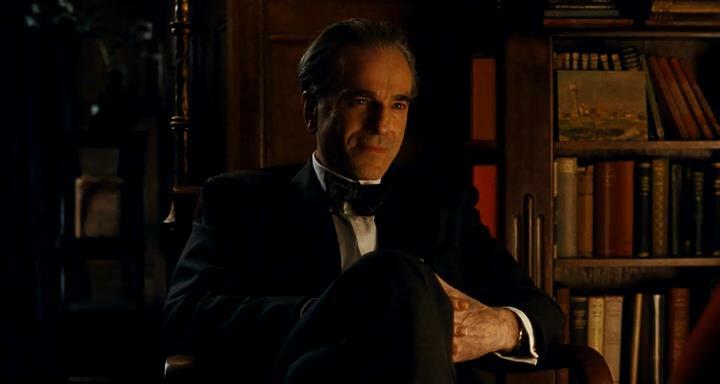 Phantom Thread is fundamentally a film about being unafraid in love; about making your love a space that you own are proud to spend your days in. As long as you are with a person, you have the right to make your home in their heart and to assert your place there. For all its heightened melodrama, Paul Thomas Anderson’s grand, woozy, decadent film is really a sweet, simple, and sharp ode to the strange dance of courtship; to the art of changing for another person in the right ways. Phantom Thread comes at love from a lot of angles, but its stance is largely curious and empathetically quizzical. 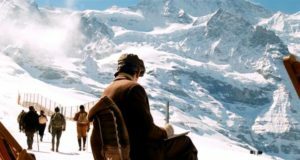 It is a film whose tones are often cerebral, arch, and pitch-black, but it nevertheless is never less than wholly compassionate. It sees romance as a fascinating, powerful, fickle, and mysterious force. Beneath its billowing score and almost dauntingly elegant compositions is a real, beating heart. With deference to Anderson’s terrific Punch Drunk Love, I believe this is the most unabashedly romantic film of his career. It is a stately, impeccably sculpted film about finding real, squishy emotion somewhere deep inside a stately, impeccably sculpted world. In its deliriously wicked conclusion, it manages to get to true love in a thoroughly demented way. In that moment, it proclaims that there are few wrong ways to find love with another person. Love is strange, enigmatic, and nebulous, and as long as you and your partner understand each other, nothing is really off limits. The rules of love are an ever evolving contract between the parties. Romance is a delightful, frustrating, frightening, revelatory conversation between souls for as long as they want to go on having that dialogue. This is Paul Thomas Anderson skewering the follies of artistic and relational pride, and honoring the value of working with a partner. Giving part of yourself to someone can be a scary and occasionally uncomfortable process, especially when you have become very accustomed to creating alone. But there is value in finding someone who challenges our spirits and bucks the wisdom that we have spent years following. What good are life and art if we are never pushed to change? Where would humankind be without collaboration?